I did not use the website. I had an excellent experience , the technician Prahmod was very gentle and made feel at ease i recommend anyone who needs an MRI to come here. Thank you again.. The staff here is always very professionally, attentative and very courteous. Especially Jay, Jesse and Dahaina. Thanks for everytning. Professional, prompt and courteous. 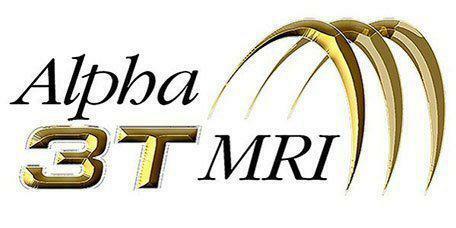 Staff at Alpha 3T MRI was second to none. Jadeen, Juanita and the rest of the staff were excellent and had me in and out of the office in no time. Thank you. Jay was very pleasant and welcoming. She was very helpful and made the registration process a breeze. The wait time seemed to pass very quickly and I would have to say it was because Jay was so pleasant. Jay at the front desk was extremely polite and very helpful. It was a fantastic experience. Keep up the good work you all do to make patients feel at ease. Catherine was great, she helped me tremendously. The whole staff was great, very attentive and professional, they made my visit go by smooth. I had a great experience here! Miss Jones give them 100% from beginning to end. Especially Jadeen and Ariel were wonderful. Also will recommend to anyone and everybody. Was a complete pleasure. The tech primahd was amazing so kind and patient and I had better sleep and comfort here than in my own home , i am so happy also Amber and Diana are so welcoming once you come in I can't tell you how satisfied and loved I felt . I've never been somewhere that is so efficient with scheduling me appt asap, giving me the results right after my MRI. Thank you Jay for making this so easy on me! I can't describe how hard that is to find, as I've been going through this pain for over a year. Everyone was friendly and patient with me. I enjoyed the relaxing environment and the comfortable chairs! One of my best MRI experience. Jay was very helpful. Recommended!